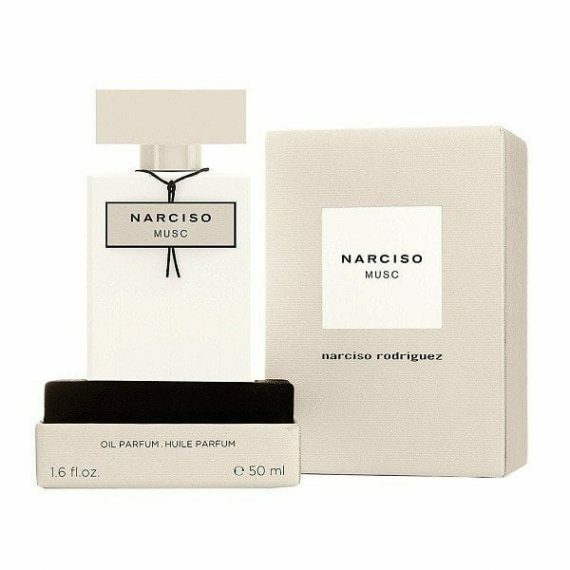 Narciso Musc Oil Parfum by Narciso Rodriguez has a woody musky fragrance with top notes of Tender Floral Accord, Peony and Rose. The heart notes are Sensual Musk Accord and Musk with a base of Assertive Woody Accord, Cedarwood and Vetiver notes. This scent embodies the vision of femininity where instant attraction is followed by an everlasting trail. 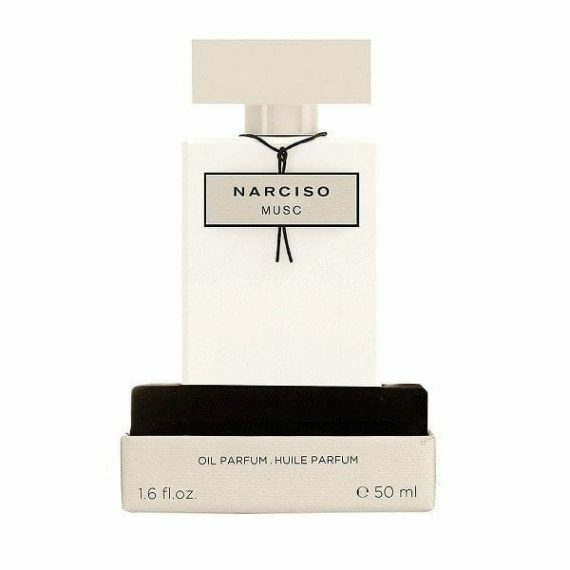 The predominant note is Musk and the fragrance is long lasting. The scent was launched in 2015 in a 50ml classic white bottle with a beige stopper. The fragrance is also available as an Eau de Parfum, Eau de Toilette, Body Lotion, Shower Cream and Body Cream.